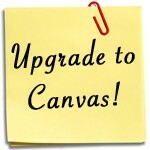 Do you have questions about your Canvas courses? We have your answers. Bring your laptop and come to the Canvas Walk-In Help Sessions August 7 from 10:30 a.m. to noon, and 2:30 p.m. to 4 p.m. in the K-State Student Union, Room 209. Note: The help sessions are no longer conducted in the staterooms due to construction at the K-State Student Union.